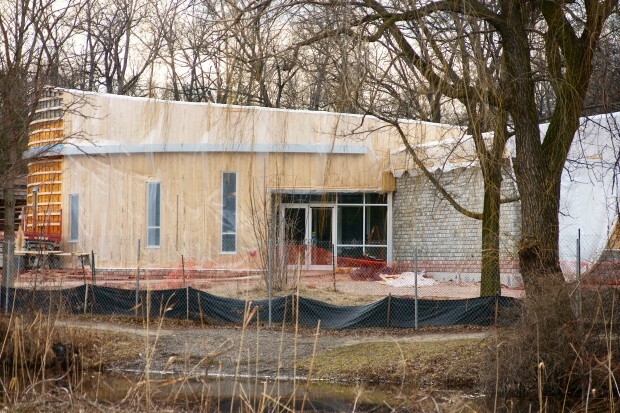 The new Ojibway Nature Centre is nearing the end of construction and should be ready for the upcoming season. Designed by world-class architects NORR Inc, DeAngelis construction is building the $1.8 million dollar facility. NORR Architects have produced amazing buildings around the world, including the Lime and Lilac towers in Abu Dhabi, the uniquely curved K-Tower in Jordan, the spiraling Al Sour tower in Kuwait City and VIA Rail’s Ottawa Station in Montreal. 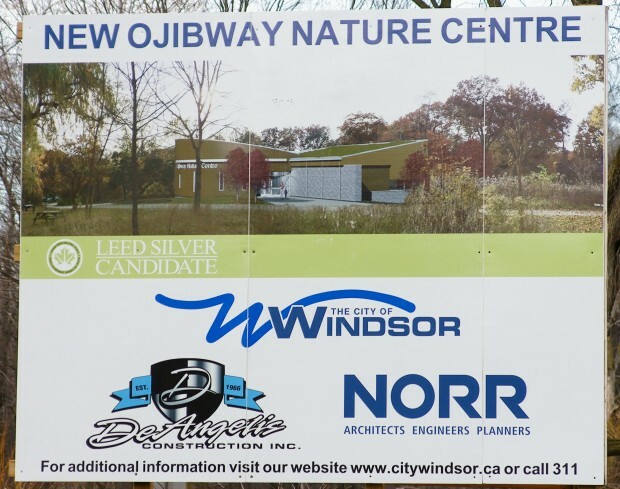 The new Ojibway Nature Centre will feature classrooms, meeting rooms, an “interpretive display area”, resource library, offices and more. North windows will showcase the birding garden and adjoining woods. 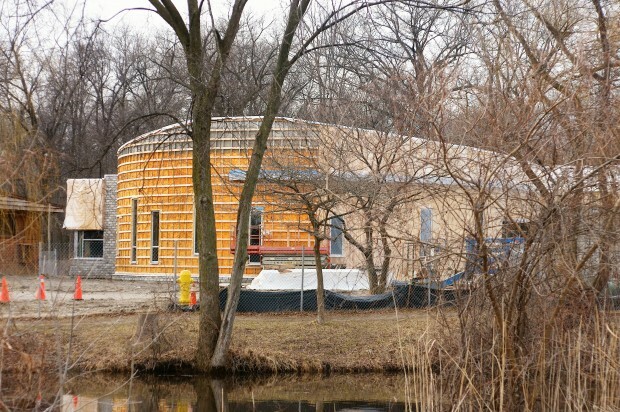 The building is equipped with a green roof, veranda, animal areas and a pier linking to the neighbouring pond.